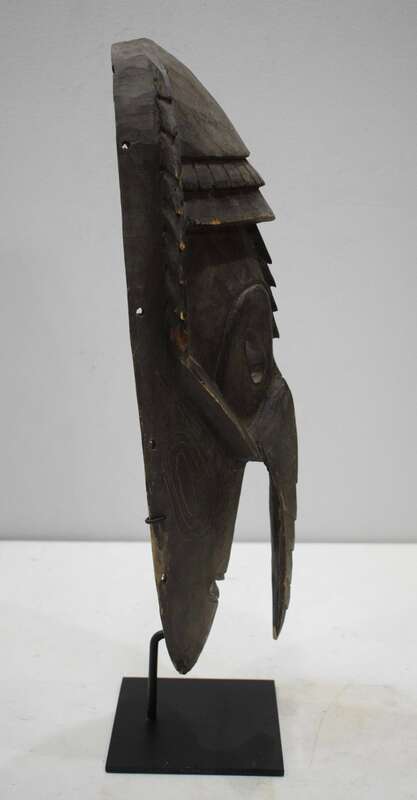 This is a wonderful and unique Men's Initiation Mask from Angooram Village Papua New Guinea. 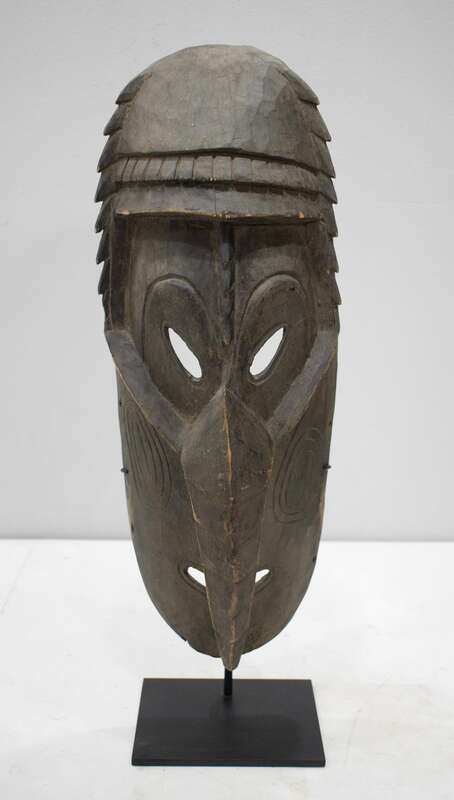 This type of mask represents a male masked spirit or deity. 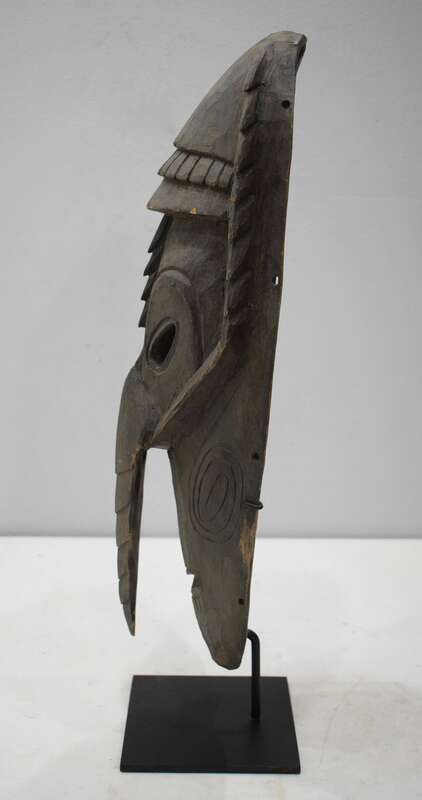 This is a distinct mask, black pigment, the medial ridge of the forehead and then gracefully transforms into the long, curved nose and a wood bite bar in the back for wearing the mask. They say the people had masked spirits called "Lewa" that instituted prohibitions against certain garden produce that enable ritual leaders to stockpile food to be used later during important ceremonies and festivals. 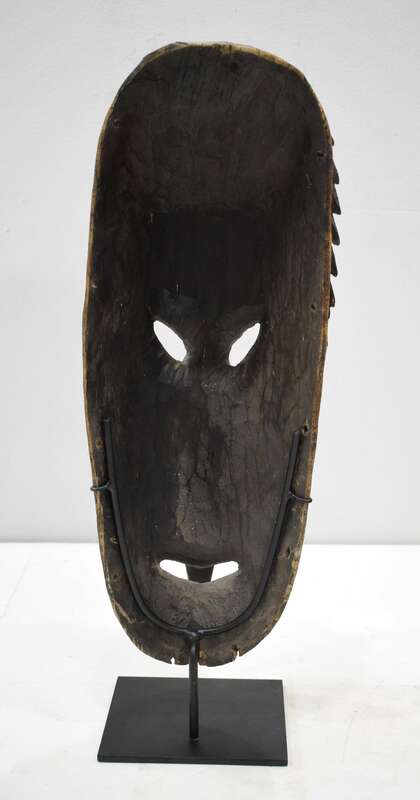 A really exciting and unique mask to add to your collection or home. The mask show some age, but overall in good condition.